NASA personnel are keeping a very close eye on some six tons of space junk hurtling toward Earth. 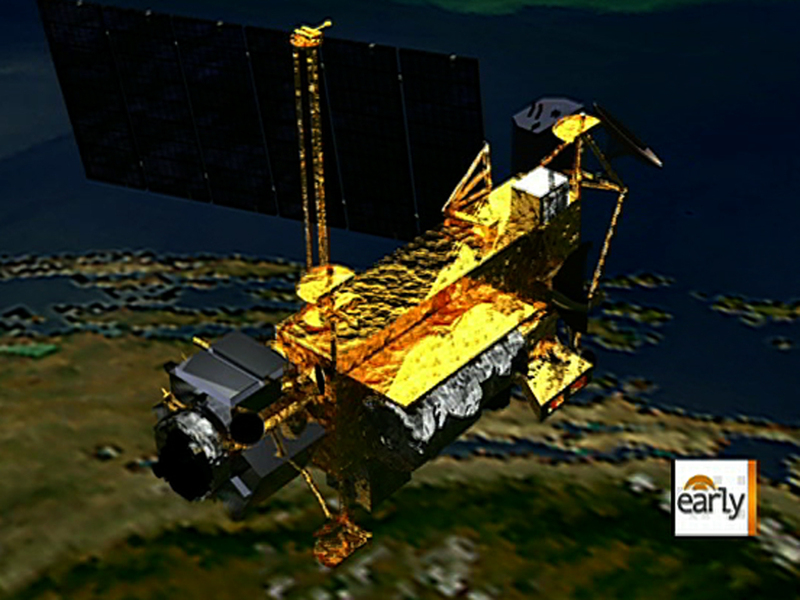 The Upper Atmosphere Research Satellite, also known as UARS, is expected to fall out of the sky by the end of this week, and scientists say it will break into pieces as it gets closer to Earth. But where will they land -- and should we be worried? CBS News space consultant Bill Harwood said Monday the pieces will come down in a "shower of debris." But, he added, "Only expect 26 of these pieces to make it to hit the ground. They don't know where it's going to hit the ground, and it will be spread out over a footprint about 500 miles long. But they think the odds of it actually hitting in a populated area are fairly low. Remember, the Earth is three-quarters water, so you've got a pretty good chance it will land in an ocean or unpopulated area. But actually, they don't know. We have to wait and see what the radar shows and get a better idea exactly where it's gonna come in." The biggest pieces could be 330 pounds, Harwood said. The potential weight and size of these pieces are calculated by sophisticated NASA computer software that was, coincidentally, used to track debris from the Columbia disaster, Harwood said. What should people realistically expect? Harwood said, "They have some fairly massive components in the satellite. ... But the odds of it hitting anyone or hitting a populated area are considered fairly remote." Seeing the space junk enter the atmosphere is "absolutely" possible, according to Harwood. He said, "You could even see it in the daytime if you happen to be under the ground track. The problem is they will not know exactly what the trajectory is until just a few hours before it comes in, and it doesn't get real accurate until just right before. There are a lot of variables. ... If you're lucky enough to be along the ground track, though, you should get quite a show but that's pure luck."